Takashi Miike's 13 Assassins, Is It Better Than The Highly Rated Original ? Takashi Miike’s 13 Assassins, Is It Better Than The Highly Rated Original ? Takashi Miike The King of the ultra violent, ultra weird and ultra great brings us 13 Assassins with a altogether more subtle affair. Known for some of the most amazing and disturbing movies in the history of cinema ( Gozu, Audition, Ichi The Killer, Zatoichi to name but a few), Takashi Miike has an habit of truly shocking the audience; visualising the weird and the wonderful on the big screen in ways most would find impossible. Miike is undoubtedly one of the most creative directors around. 13 Assassins is a remake of Kudos 1963 movie which itself is a very loose ‘retelling’ of Kurosawa’s iconic Seven Samurai. Set during the feudal period (the rule of the shogun), 13 Assassins tells the story of the sadistic and terrifying rule of Lord Naritsugu. A man who goes to great lengths to bring fear to the people and so romanticised with the ways of war and death that his leadership is questioned. His reckless behaviour is seen as too high risk for the nation should he ascend to an higher position, therefore respected samurai Shinzaemon is secretly called on to gather a team of samurai to Assassin him. 13 Assassins is pretty much a film of two halves. The first half very nicely sets the backdrop for whats to come. We learn about the cold heartlessness of Lord Naritsugu, as various characters throughout the first hour explain to Shinzaemon (through the use of seemless flashbacks) why Naritsugu must be taken care of before things truly get out of the control. A little is also learnt about Shinzaemon as he goes through the task of picking the fellow samurais who will stand by him, risking their life’s to protect the future of the nation. The second half of the movie on the other hand is all about the action. Once things get going it very rarely takes a break, its a constant barrage of death, expert swordplay and explosives. I found myself at odds with this movie. On one hand its fantastically put together, the first half whilst lacking in action does not drag at all. Its almost perfectly balanced to the point thatyou want to learn more about Naritsugu before the inevitable final showdowns. Yet given the quality of the director involved I kept thinking as though Miike was doing little more than playing it safe. With Miike you usually expect the unexpected but with 13 Assassins everything followed a very set path with no obvious deviations. Yet what we do have is a incredibly solid movie. All the pieces word beautifully together.The actors are on top form here, the interplay between Shinzaemon and his rival is great to watch, and Lord Naritsugu is truly a bad guy you love to hate! The supporting cast (samurai) do a lot more than simply support, they are important pieces to the movie, with each one of them having their own story to tell and reasons for taking on the cause. When the action does get going its a finely balanced performance with swordplay followed by explosive followed by one on one fighting followed by more swordplay. The randomness of the action really caught my eye, this is more than a swordplay action finale. As I mentioned before, the movie does little to surprise the viewer. Its pretty obvious from the get go how its all going to end. Some surprises along the way whilst not necessary to the plot would have made for a more varied and in truth more interesting story. If you have watched the original 13 assassins then there really is nothing new here. This version is simply a more expensive re-hash of a good (but not particularly great) movie. Miike as incredible range as a director. He does comedy, epics, action flicks, the insane and even musicals. I’ve always been a fan of his more ‘risky’ movies, and whilst I really enjoyed 13 Assassins it really doesn’t bring anything new to the table but nether does it harm Takeshi Miike’s CV in the slightest. 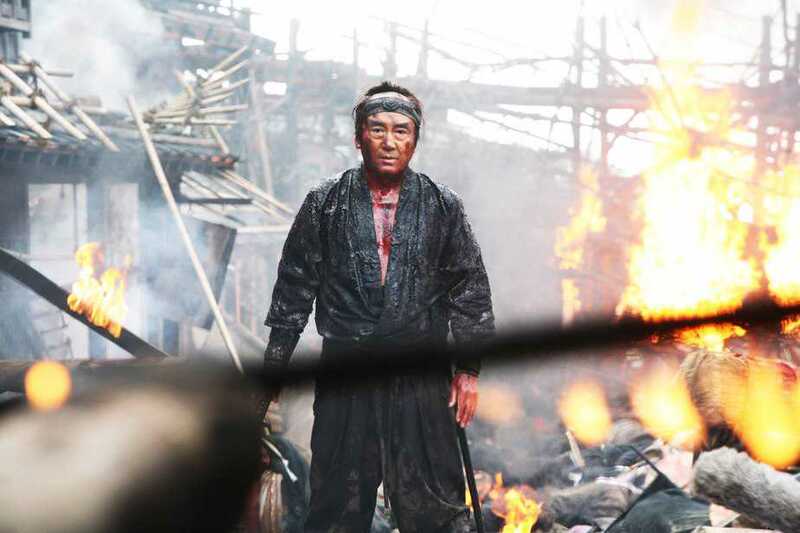 13 Assassins is a well paced fully enjoyable samurai epic and well worth seeing.